The Betsson family of brands will soon offer its customers access to the world’s biggest and best lottery jackpots, perfectly complementing their extensive portfolio of sports betting, casino, poker, bingo and other games. This deal is truly a significant one for Lotto Warehouse as it sees the Nasdaq Stockholm listed company, and one of the largest companies within the European iGaming industry, embracing the potential of the lottery vertical. 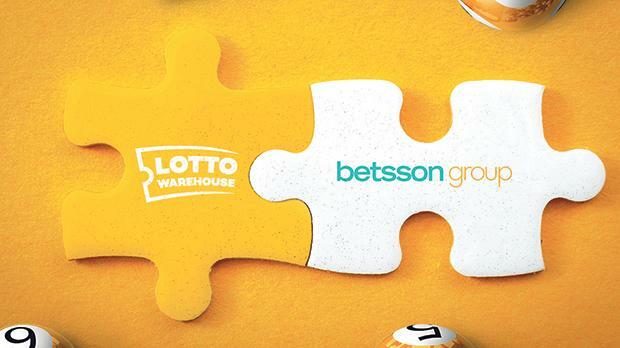 “Betsson are a hugely respected operator and we are pleased they saw the great potential of our offering,” Lotto Warehouse CEO Thomas Biro said. Lotto Warehouse are a B2B Lottery Betting provider for the iGaming industry. They are licensed by both the Malta Gaming Authority and the British Gambling Commission and offer operators the chance to add a catalogue of the world’s biggest lottery betting products to their platforms, with all higher tier payouts protected by their unique jackpot indemnity insurance model. They are a subsidiary of New York Stock Exchange listed online sports lottery service provider 500.com (NYSE: WBAI) and their extensive client list now also proudly includes Betsson. To learn more about this exciting new vertical that you can offer your customers, you can set up a meeting with Lotto Warehouse at Sigma by e-mail to info@lottowarehouse.com. It’s time to let your customers dream big.